Zillions 50 ML Sour Strawberry E-Liquid​ is a fantastic, fast-selling e-liquid. It is a 70-30 (VG/PG) mix. Lots of our customers use it simply for the great taste but you can add, if required, nicotine to your particular required level. 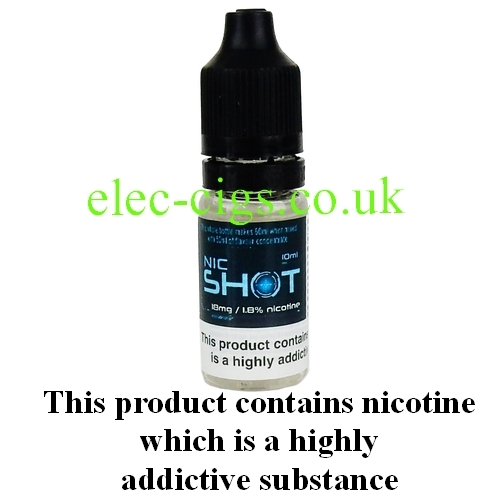 One 10ml bottle of Nicotine Shot will give it a nicotine content of approximately 3 mg (0.3%) or two bottles will give you 6 mg (0.6%) of nicotine 'approximately'. If you want extra nicotine shots, over and above those offered with the product, you can find them HERE. Please note that the 'Nicotine Shot' illustrated may be substituted with one of the same strength and quality. The description of the flavour of this e-liquid is intended as a guide only, as it is a personal and subjective interpretation of the flavour.